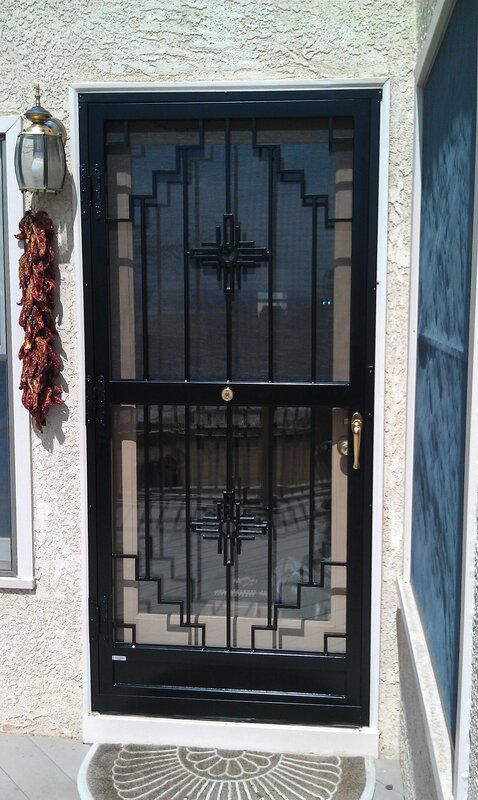 Doors — Aztec Manufacturing Inc.
No home is complete without a security storm door! Besides acting as a 24-hour-a-day security guard, our steel security storm doors offer protection from the elements and ventilation when you need it. Our doors are made in house from the ground up. That means you get to customize it however you want. Did you fall in love with a design on Pinterest? We can recreate it for you! Need a doggy door? No problem! 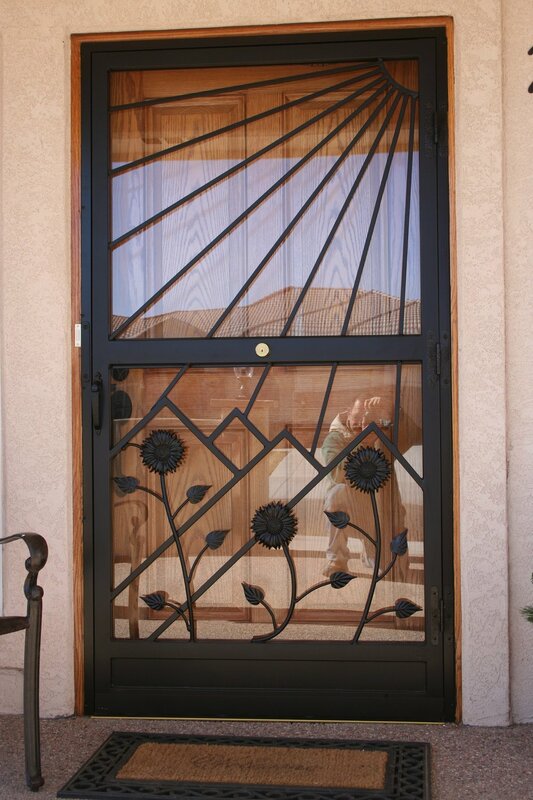 Even if you have an under-sized, over-sized or rounded entryway, Aztec Manufacturing, Inc. is here to help you out. We love custom jobs, but we also have some of our own designs that have proved to be great choices for almost any style of home. 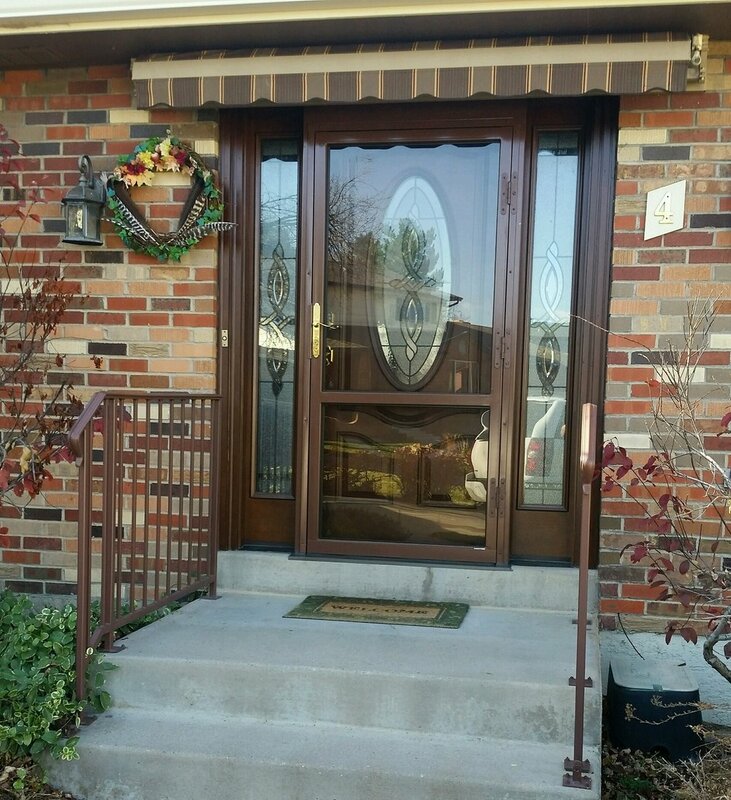 We love to see our customers make their door their own. 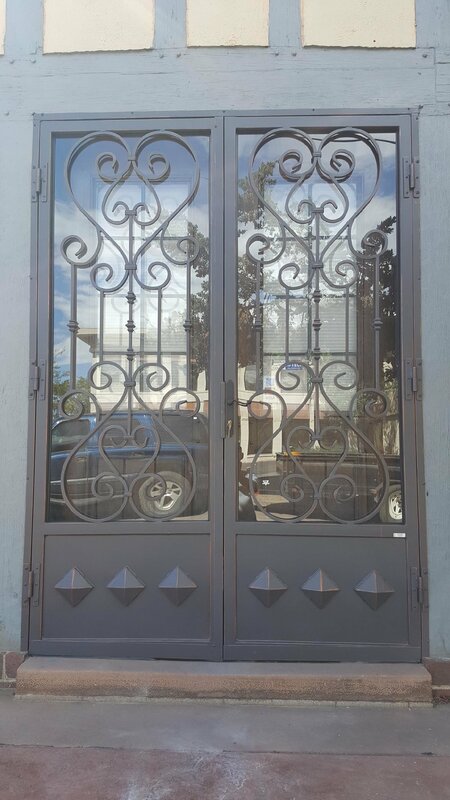 Just picking a custom color can make your door look like a piece of art, no matter how plain the design. Browse our door lookbook for ideas and inspiration on both design and color. Our doors are completed with heat-tempered safety glass. It helps protect your family in two main ways. First, it is extremely tough and durable. It can handle blunt impacts and hard closes without breaking. Second, if it does break, it shatters into very small pieces to reduce the risk of serious injury if a human or pet happens to be nearby. This is a standard feature that increases the security and safety of every Aztec door! Our glass can also be ordered with a built in tint or a low-E coating to increase energy efficiency.